Corruption is a phenomenon that can inflict serious political, economic and social harms to societies around the world. In addition, it poses a significant challenge to social justice and the rule of law, which may undermine trust in democracy and democratic institutions and processes. The risks of and harms caused by corruption are well recognised by the European Union. ‘Fight against corruption’ was one of the key objectives of the Stockholm Programme, which guided home affairs priorities in the European Union from 2010-2014. Control of corruption is also one of the components of Europe 2020, the growth strategy for the European Union covering the current decade. Quantify the economic, social and political costs of corruption in the European Union. Investigate gaps and barriers in the existing regulatory framework that hinder the effectiveness of measures to combat corruption in the EU. Identify potential for action at EU level that might add value and address the challenges identified. A review of relevant documents and literature and interviews with 17 stakeholders (including academic experts in the area of corruption and representatives of EU institutions and agencies). Econometric modelling to assess the costs of corruption and the costs of non-Europe using a bespoke dataset from a range of different sources. These figures are higher than the estimate of €120bn included in the 2014 EU Anticorruption Report (ACR), because the estimate in the EU ACR does not account for the indirect effects of corruption (it looks at costs in terms of lost tax revenues and foreign investment due to corruption). Corruption is associated with more unequal societies, higher levels of organised crime, weaker rule of law, reduced voter turnout in national parliamentary elections and lower trust in EU institutions. The costs of corruption in public procurement vary considerably between Member States. This estimate is slightly higher than the estimate provided by a previous, large study. This could be because our estimate includes all sectors of public procurement and all Member States, whereas the previous estimate included eight Member States and five sectors. The EU should apply the updated Cooperation and Verification Mechanism, which was used on Bulgaria and Romania before they joined the EU, to other member states, as over half have higher than average corruption levels. This could reduce corruption costs by €70 billion (£54.4 billion) annually. The EU should establish a European Public Prosecutors’ Office, which would assist the European Commission Anti-Fraud Office in investigating corruption. This could reduce corruption costs by €0.2 billion (£0.16 billion) annually. The EU should implement a full EU-wide procurement system, potentially reducing corruption costs by €920 million (£714.8 million) annually. This study looks at the cost of non-Europe in relation to corruption, examining potential added value or benefits of EU-wide implementation of anti-corruption policies. How Much Does Lack of Full EU Integration Cost? An analysis of the current state of play in the European free movement of goods allowed researchers to quantify costs due to a lack of full integration, drawing special attention to two sectors of the European economy: the construction materials sector and the medical devices sectors. 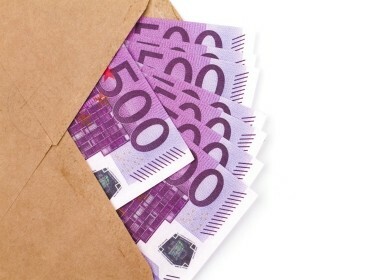 Corruption across Europe appears to be a bigger problem than previously thought.